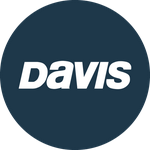 Davis Instruments Support, FAQs and Troubleshooting - Can I access WeatherLink.com 2.0 before I get my weather station delivered? All Categories ​>​ FAQ ​>​ WeatherLink.com ​>​ Can I access WeatherLink.com 2.0 before I get my weather station delivered? Yes. You can create your WeatherLink.com Account without even owning a Davis weather station and start browsing weather conditions (under the 'Map' tab) from all the WeatherLink members publicly sharing their data.